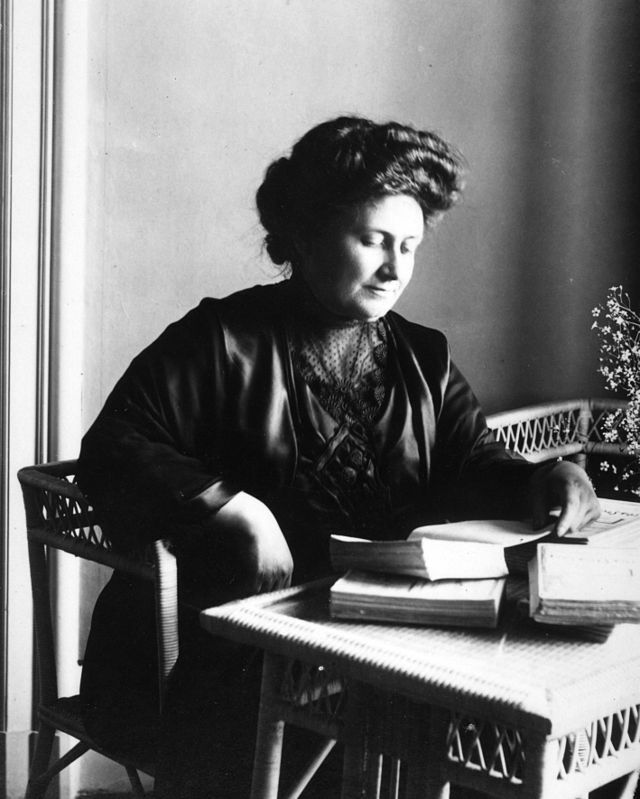 This is the birthday (1870) of Maria Tecla Artemesia Montessori, an Italian physician and educator best known for the philosophy of education that bears her name, and her writing on scientific pedagogy. In simplest terms, she believed that children learned best when they were left alone to choose what they were interested in. This is the perfect opposite of what I was subjected to, but I gave my son the benefit (I home schooled him). In consequence he wrote essays on the origins of the Gothic novel, became a senior master in Korean karate, played the trumpet at concert level, and is now wandering Asia picking up languages as he goes. I was ridiculed repeatedly for my “method.” But you cannot know the joy of blowing up hydrogen in a test tube in the kitchen (and then doing it again), or clambering down a coal mine. Those were extravagantly wondrous days. What could possibly be a Montessori recipe? Whatever you want. Pick up a pot and do it. This is what I am doing tonight. I have a pot of water on the stove to cook pasta, and a skillet heating for some Cumberland sausage. Then I don’t know what. I’ve got some leeks and crimini mushrooms. Just do it.